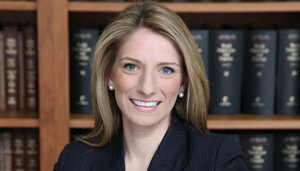 Lauren M. Lesko is an associate at Rakoczy Molino Mazzochi Siwik LLP. She holds a Bachelor’s degree in Molecular and Cellular Biology. Ms. Lesko is active in the firm’s litigation practice, including representing clients beginning with the pre-suit investigation work and pleadings practice, and continuing through expert discovery and dispositive motion practice. She also has extensive deposition experience, and has first-hand experience with all aspects of jury trials and settlement negotiations. Prior to joining RMMS, Ms. Lesko was an attorney at Harman, Fedick & Markley, Ltd., and was previously a law clerk at Ladas & Parry LLP.